Did John F. Kennedy Jr. write in George magazine in June 1999 that if Donald Trump decided to be president that he would be "an unstoppable force for ultimate justice" who would be celebrated by Democrats and Republicans? No, that is not true: It is a made-up quote attributed to the only son of President John F. Kennedy. It is not included in the cited magazine and only appeared online in recent social media posts. If my dear friend Donald Trump ever decided to sacrifice his fabulous billionaire lifestyle to become President he would be an unstoppable force for ultimate justice that Democrats and Republicans alike would celebrate. While Lead Stories has not been able to obtain and review a copy of the 20-year-old publication, another fake news fighter did. Snopes.com investigated this hoax when it surfaced in July 2018 and concluded the quote claim was false. Our attempt to locate the origins of this quotation turned up no credible references to it prior to this 17 July 2018 tweet. It did not appear in any news coverage of Trump's 2016 presidential run, nor of his subsequent election victory. 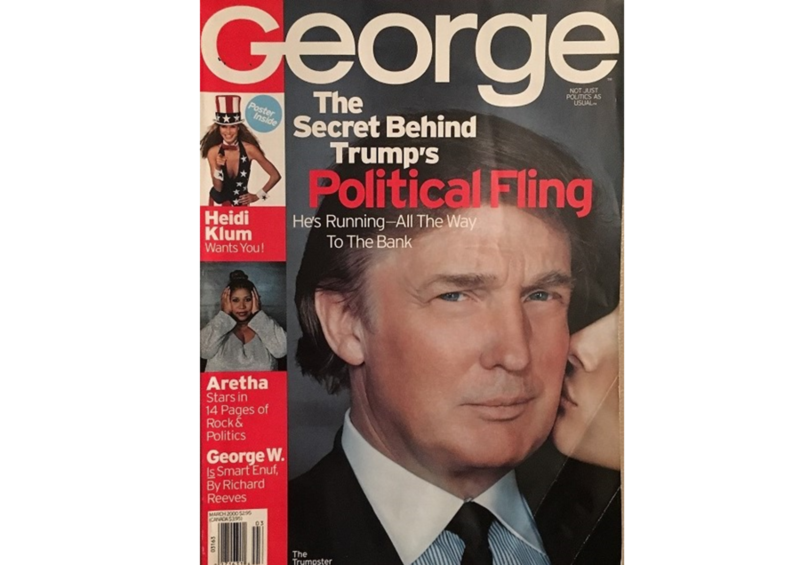 We also examined the June 1999 issue of George magazine and found that it contained no mention of Donald Trump at all. JFK Jr. and Trump were reportedly social friends, according to Kennedy's former business partner Michael Berman. The New York Post quoted Berman in November 2016 sharing a story about an event in 1996 when the son of a former president did talk about the prospects of Trump as president. It happened when Kennedy, who was founder and editor-in-chief of George, hosted advertisers at Trump's Mar-a-Largo resort in Florida. Donald Trump was in the small group, Berman said. "I think you should be asking those questions of Donald," Kennedy said, according to Berman. "He'd clearly have the most extravagant winter White House," the then-35-year-old editor-in-chief said. John F. Kennedy Jr. and his wife Carolyn Bessette died in an airplane crash on July 16, 1999. 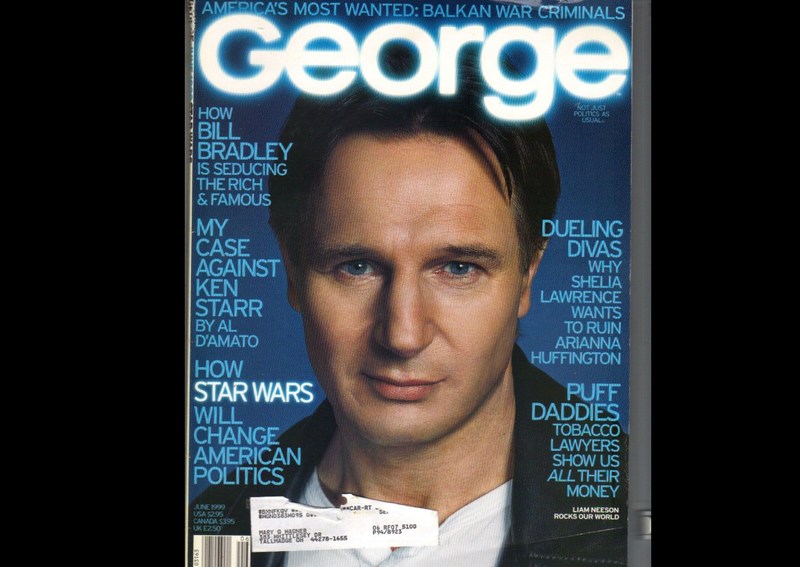 George magazine published an unflattering cover story on Donald Trump under the guidance of a new editor the next year.